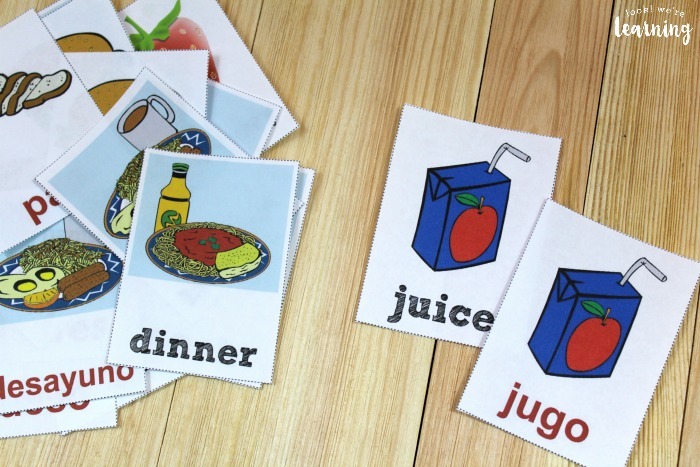 Free Printable Spanish Food Flashcards: Look! We're Learning! Even if you don’t know a bit of Spanish, you probably know a few food words in Spanish already. I knew what a burrito meant long before I learned that it literally refers to a baby burro – just from constantly eating Mexican food. 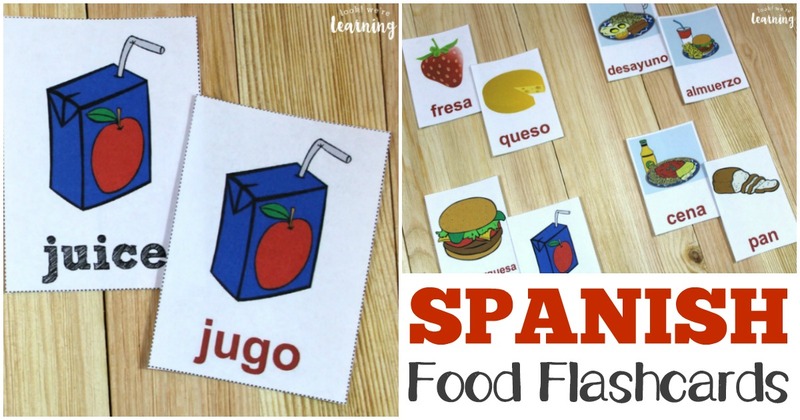 But for kids who want to learn how to talk about everyday food in Spanish, we’ve put together a set of free Spanish food flashcards as part of our printable Spanish flashcards collection! 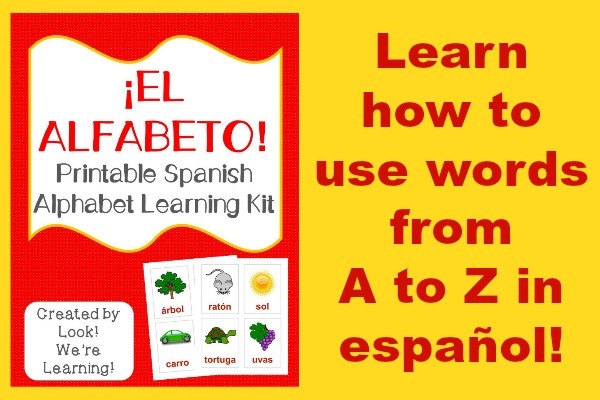 This set is perfect for helping children learn how to identify Spanish food vocabulary words in no time. 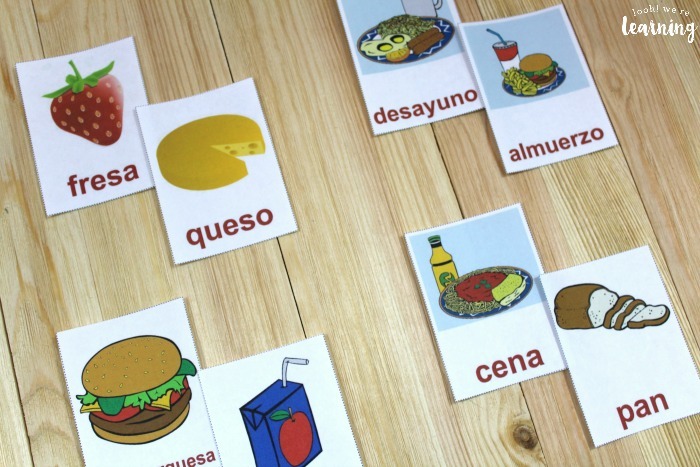 Read on to see how to get your set of Spanish food flashcards – free! And for more Spanish vocabulary practice, be sure to check out our Spanish Community Helpers printable lesson. 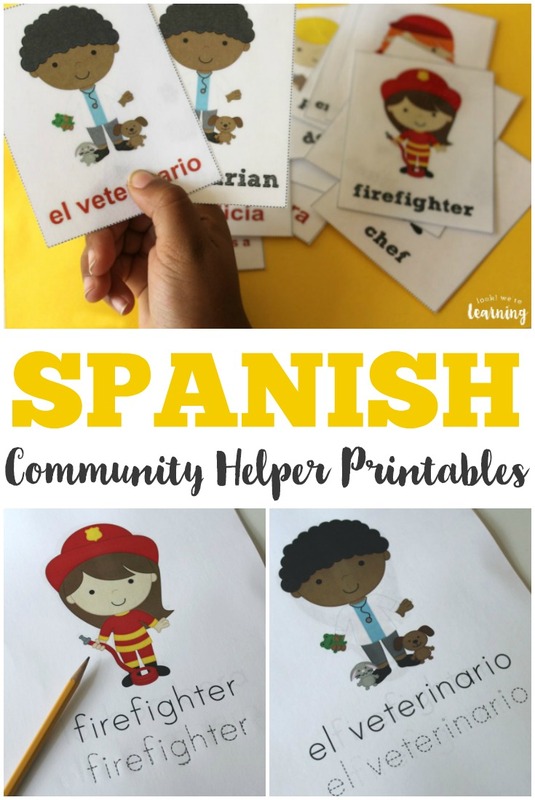 It’s packed with worksheets and flashcards to help kids recognize community helpers in their neighborhood and identify them in both English and Spanish! 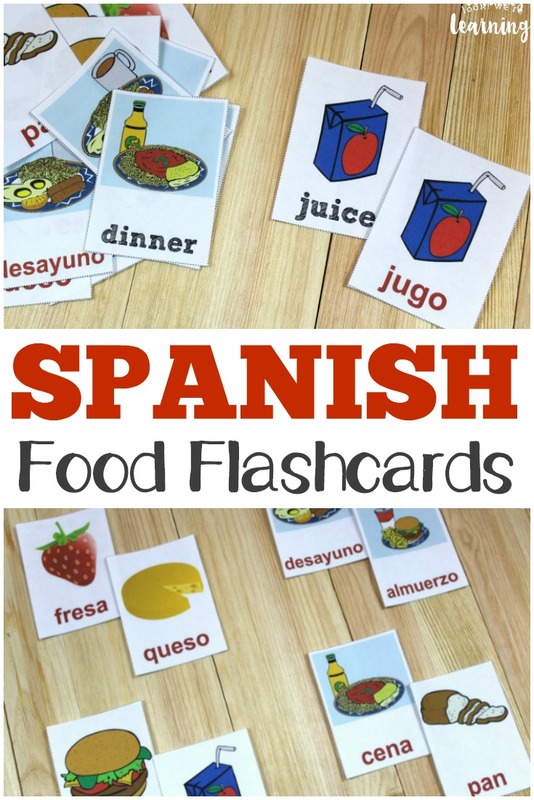 What’s In the Printable Spanish Flashcards: Spanish Food Flashcards Set? 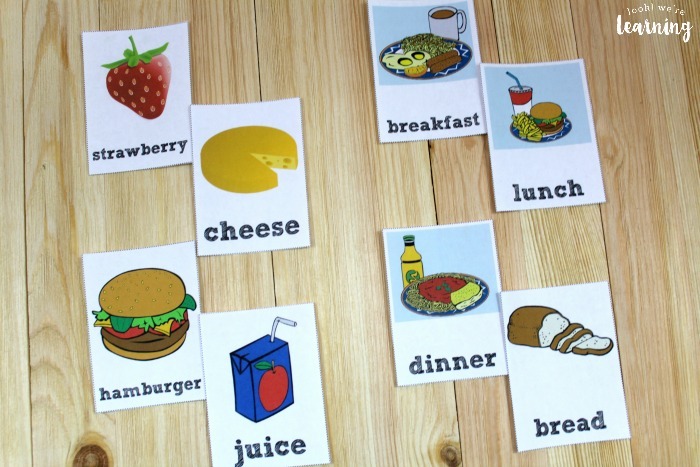 Since the English word cards are also included, you can easily use these flashcards to help young learners practice identifying basic food items. 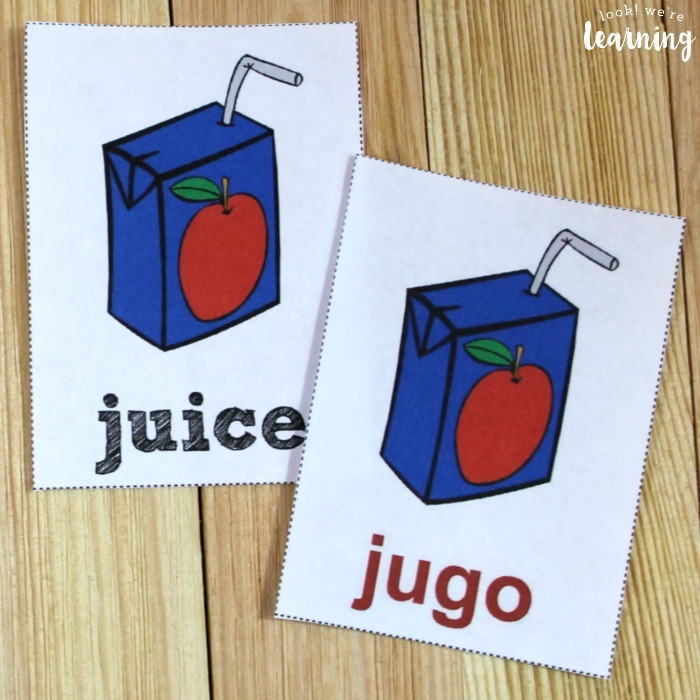 A Spanish pronunciation guide is also included to help kids sound out the Spanish vocabulary correctly. 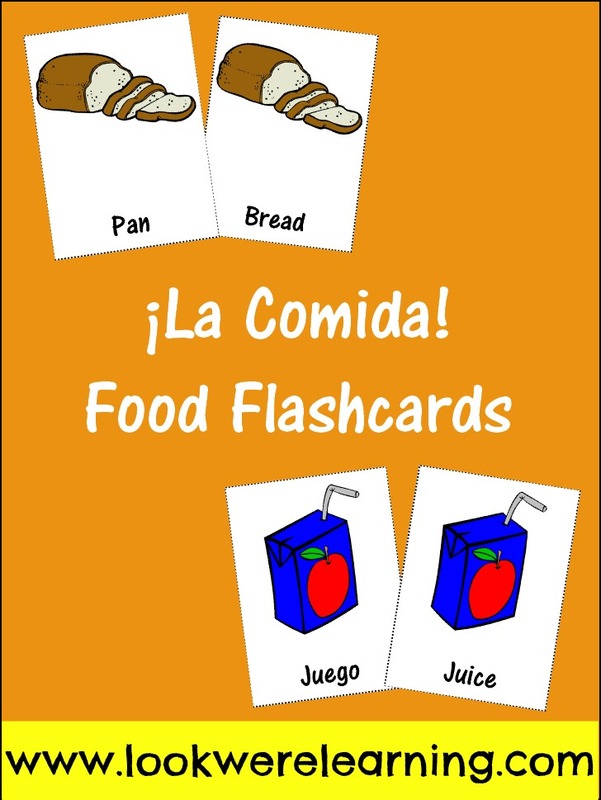 Scroll down to get your copy of La Comida Spanish Food Flashcards! For even more Spanish learning fun, try these great Spanish books for kids! 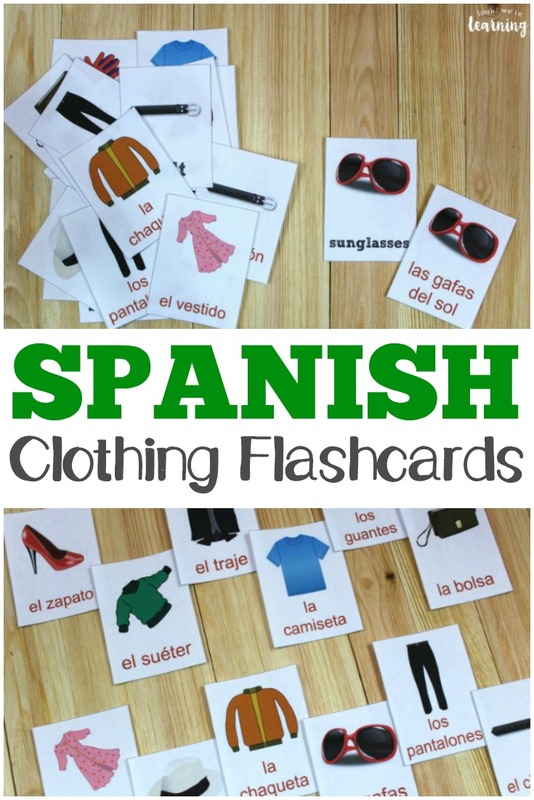 Don’t miss these other Spanish learning printables! 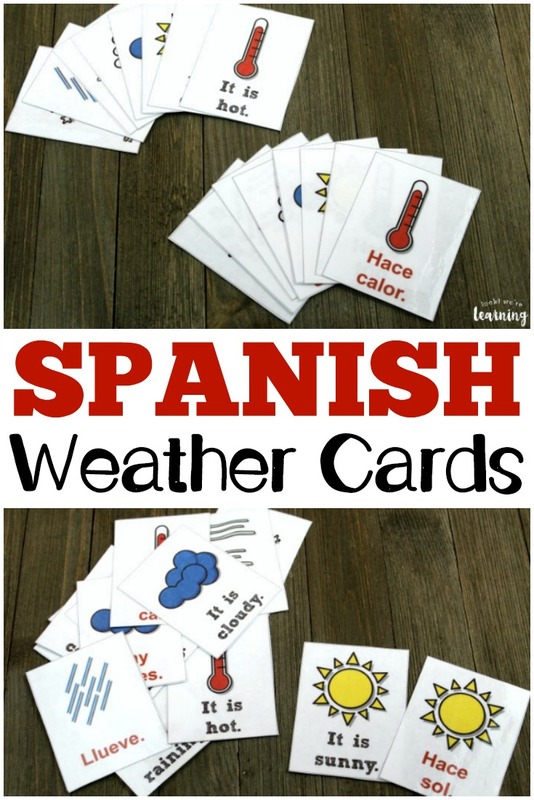 See even more ways to teach Spanish at home on my Foreign Language for Homeschoolers Pinterest board! 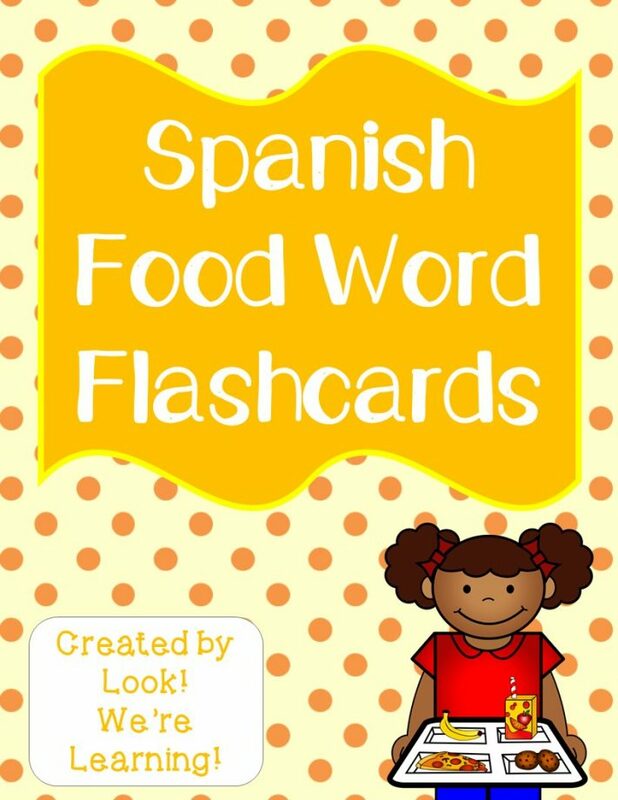 To get your copy of La Comida Spanish Food Flashcards, sign up for our email newsletter! You’ll receive access to these free printables, plus loads more, in our exclusive Subscriber Library! These are great! My 9 year-old is learning some Spanish and she will love these. Awesome! I love free stuff! 🙂 I would love for my boys to be able to learn another language, I like how this set isn’t to overwhelming and it uses items that my oldest knows at the age of three. Great resource! Thanks for linking this up in the Bloggers Brags Party!